Passion, collaboration, resilience, mentorship, confidence, serendipity, being open to risks and taking opportunities – even if they come from left field. Those are the attributes women in biomedicine need in 2019, according to the panel of six female leaders in medical research at last night’s ‘My Brilliant Career’ event. 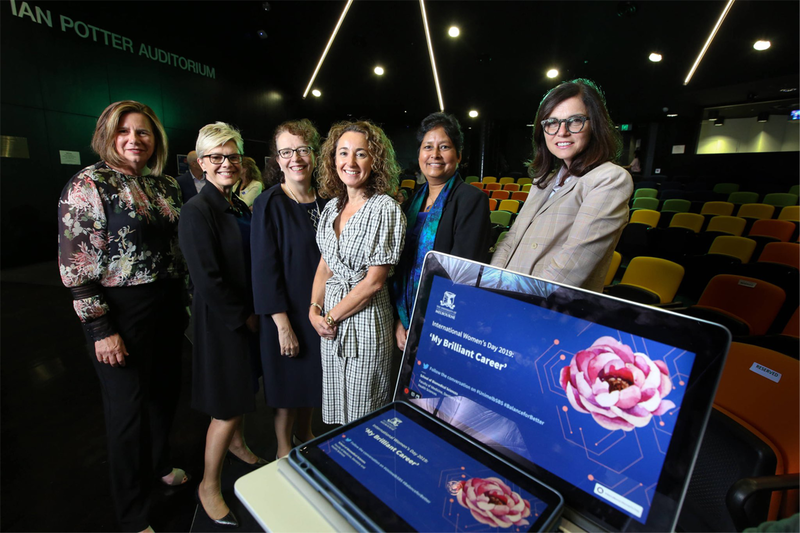 The School of Biomedical Sciences welcomed almost 250 guests to the University of Melbourne on the eve of International Women’s Day. 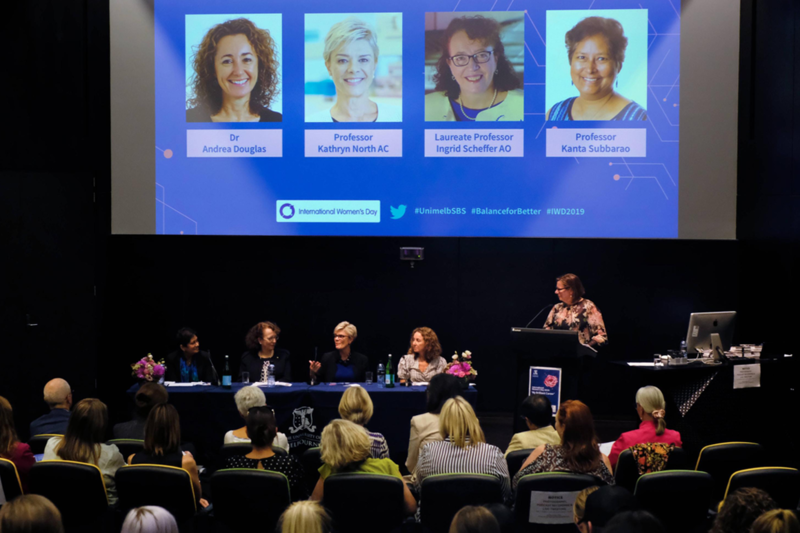 Host, and head of School, Professor Fabienne Mackay paid tribute to past trailblazer, physicist and chemist Marie Curie – the first woman to win a Nobel Prize – before introducing: moderator Associate Professor Megan Munsie, and panellists Dr Andrea Douglas, Professor Kathryn North AC, Laureate Professor Ingrid Scheffer AO and Professor Kanta Subbarao. Together, they recognised the challenges and celebrated the achievements of women in biomedicine. 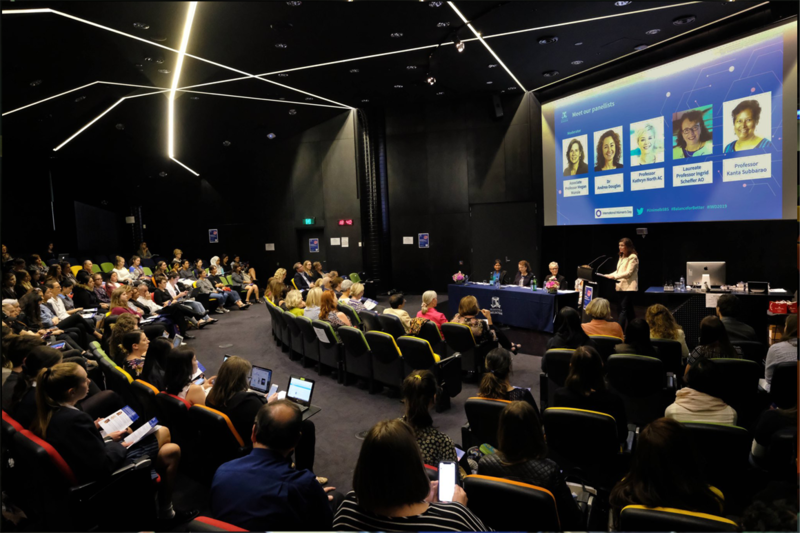 Link to Pursuit article: "My Brilliant Career"
Following the panel discussion, a live Q&A ran overtime as audience members quizzed the women on how future generations could enjoy successful – and enduring – careers in medical research. How does diversity bring strength? Professor Subbarao: In research or in a work environment having people with different perspectives and giving them the space to voice that can only make organisations stronger. How can we bring men into the conversation? Dr Douglas: We need women and men to be in this debate and we need to be supportive of young people coming through. Personally, I’ve found the strength and character that men often have helps you with your own self-esteem. Has there been a generational change in men? Professor Scheffer: There are clearly some older male leaders who have led the way in advocating for women, and I think that’s been vital for getting us a seat at the table. But, we still have to be very aware of it. I think there has definitely been a generational change though, which is a relief. You are at the peak of your careers, do you still use mentors? Professor North: Absolutely. The relationship changes over time, but it’s about having people who really care about you. Find someone who is looking out for you, who will give you advice and who will make an extra effort just to help you. That – to me – defines a mentor. Have there ever been times when you’ve suffered from imposter syndrome? Professor North: It happens to men and women – imposter syndrome is alive and well. But, I think it’s healthy…You never know everything and I think it’s a great skill to learn: to admit your ignorance. How can 17 and 18-year-old girls interested in biomedical sciences build confidence? Laureate Professor Scheffer: Remember, the world is your oyster. You can do whatever you want to do if you put your mind to it. And yes, you might get it wrong and you might not succeed at this or that, but things will come up. We have all taken opportunities that we were terrified about – most of them worked and some of them didn’t...that’s just life. That’s the wonderful path ahead for you. When you’re at a low point, what do you do to pick yourself up? Professor Subbarao: It helps to know how to switch off, walk away and look at it again the next day. To get through when things are really piling up, I find list writing very helpful. I have a weekly list and a daily list and I love striking things off. That’s very therapeutic for me! What is the most pressing issue facing women in science today and how can we overcome it? Dr Douglas: There are lots of reviews going around by the Australian Government and others about what we can do to keep young girls interested in STEM subjects. I don’t think we have the answers right now, but we need to be more supportive of young women and men in various career pathways. Professor North: I think it’s the responsibility of the individual to keep their mind in the game during periods of career disruption and shape your own destiny, but it’s also the responsibility of the institutions we’re working at to support women. We have so many bright and brilliant young women coming through, but we’re losing them when we get to that early to mid-career area and we need to focus on providing some additional support. 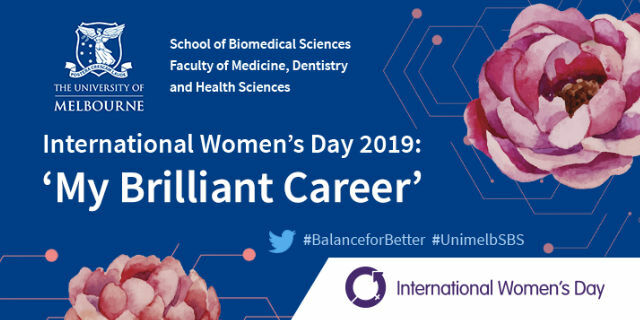 In closing the event, Professor Mackay encouraged women in biomedicine to enjoy the journey – the highs and the lows – and to move past any feelings of insecurity. “Forget about that annoying insecurity inside you…replace it with bravery and courage, and remind yourself that you’ve got a lot to give." See the event highlights on Twitter.